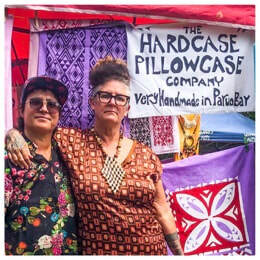 ​​The Hardcase Pillowcase Company is a collaboration between Sandy-Lee Bell and Kara Tuatara/Dodson. Kara set up Tuatara DesignStore and Gallery in Central Whangarei in 2004 and before that, and since, has a long history of making things. Sandy-Lee has a history of arts administration, ceramic and jewellery making. 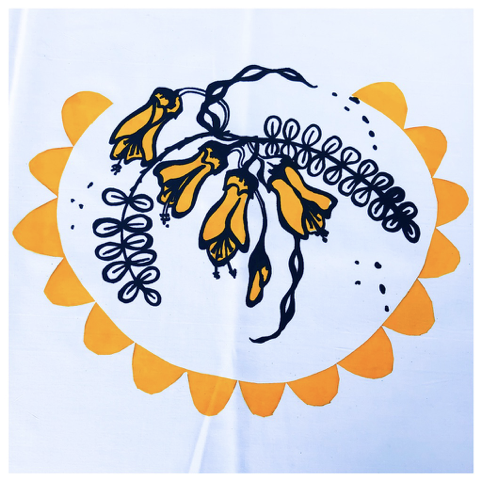 Since coming back from travels, this time their combined creative energies are focused on screen-printing. Sourcing hotel linen and printing on their kitchen table in their Solomon's Point house, the Hardcase Pillowcase Company was born. The prints are Kiwiana and Pasifika at heart as well as incorporating Maori influenced designs & drawings from Sandy-Lee’s heritage. The outcome is an exciting, fresh and relevant range of treasures for all. Perfect for the home, the bach, stylish apartments and for the creation of heirlooms.